The Canberra Vikings and Perth Spirit will lock horns in NRC semi-final action this Saturday morning. 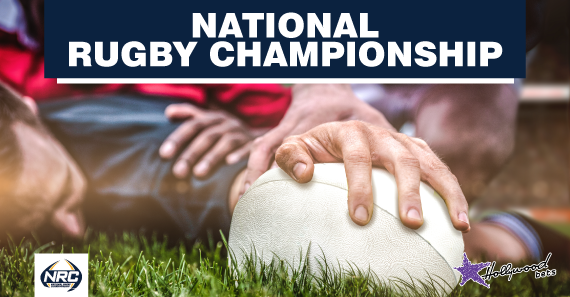 The table-topping Canberra Vikings host the reigning National Rugby Championship title holders, Perth Spirit, this Saturday morning. The hosts have been in sparkling form this term winning six of their eight matches, while the visitors scraped into the semi-finals only winning half of their round-robin fixtures. The visitors revelled in their underdog status during last year's play-offs, so this one may not be as cut and dry as the betting and stats would have one believe. Canberra were the main beneficiaries of Queensland's shock loss to Perth last week, with the Vikings securing hosting rights to a home final as well as a semi-final against the lowest ranked play-offs qualifier. And while that sounds great on paper, it may not be an actual blessing as Perth are a plucky side when it comes to knock-out rugby. The hosts are in solid form and carry a four-game winning streak into this one. Their last fixture saw them beat the Sydney Rams by 13 points. They also beat Perth by seven points during the round-robin phase, although it must be noted that the game really could have swung either way. The Spirit once again defied the odds making it to the semi-finals when they looked dead and buried at half-time against Queensland Country. The men from Perth needed a bonus point victory over the Country to have any hope of qualifying for the play-offs. This scenario looked but a pipedream at half-time as they trailed Country by 19 points. But a stoic second-half effort saw them overturn the score and run out three-point victors and secure the last semi-final spot. That come from behind win will have given the Spirit a whole lot of confidence heading into this match. It will have also boosted, veteran pivot, Peter Grant's morale greatly with the former Western Province man having an absolute blinder off the tee. He will again need to be deadly accurate with the boot if his side is to produce another shock. They will be on an absolute high after last week. Momentum is absolutely key in this competition and the Spirit seem to have it at the moment. I'll be having a moderate strike on the away side here.